City-sized maps of terrain and life on the sea-floor have revealed that drifts of ‘marine snow’ on submarine hillsides act as a source of food to fuel a higher biomass of marine life on the hills than on the flatter plains surrounding hills. This finding comes from research published today in Nature Scientific Reports by scientists at the National Oceanography Centre (NOC), which may help improve understanding of how features, like hillside slopes and plateaus, add complexity to seafloor habitats and help drive the distribution of marine life. Marine snow is a mixture of dead algal plankton, plankton poo and other biological debris that sinks through the ocean from the surface in greenish-white ‘fluffy’ clumps, like snow. 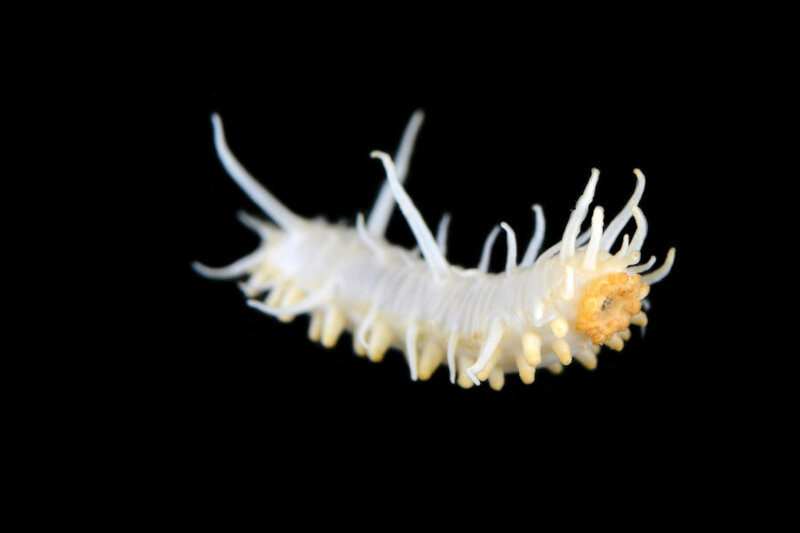 This snow makes up the majority of the particulate organic matter that most deep-sea life relies on as a food source. Potential links between the distribution of this marine snow, seafloor terrain and ecology have been difficult to resolve. The NOC’s robot-sub, Autosub6000, used seafloor photographs to create the first landscape-scale map of marine snow patches in addition to a map of the abundance of life on the sea-floor (also known as biomass). These maps are similar to those found in Google Street View. The terrain types were mapped using acoustic sonar sensors on Autosub6000. To create the photographic map Autosub6000 was flown about three metres above the sea-floor after being launched from the royal research ship Discovery around the Porcupine Abyssal Plain — a deep ocean observatory in the Northeast Atlantic. It covered about 160 km of photographic survey track overall. Importantly, the marine snow cover was quantified using machine vision, where a computer algorithm automatically detected the location and coverage in digital images of this important food supply. Comparing these maps of terrain, the snow-like food source and that of the distribution of life on the sea-floor illustrated there was up to a three-fold increase of biomass on elevated terrain. The greater accumulation of marine snow on submarine hills plays an important role in this increase in biomass, which was even found for areas elevated only a few tens of meters above the surrounding plain. These observations of spatial variation in relation to the terrain features are likely driven in part by changes in ocean bottom current speeds produced by the hilly terrain; this causes changes in the settling and drifting of marine snow. Co-author, Dr Henry Ruhl from the NOC, said “this is a dramatic improvement in our ability to understand where life can be found underwater, made possible by a step change in the scale and resolution of the maps that Autosub6000 could create. This research was part of the NOC-led collaborative project “Autonomous Ecological Surveying of the Abyss” funded by the Natural Environmental Research Council, involving the universities of Glasgow and Liverpool. It forms part of the NOC’s on-going research into marine ecosystems. Web Source: National Oceanography Centre.